SEO, Search engine Optimization is a big brick in digital marketing and online marketing. For an instant you will find most of the jobs in this field only while you are going into digital marketing jobs. Search Engine Optimization is so important in digital marketing that even people working whith profiles in SEM or SEO/SMM require a considerable knowledge of SEO. So if you are looking for a career in digital marketing then going for SEO sector will any day be a better option. And if you are looking for SEO jobs in particular, it becomes obvious how much dedicated you should be towards SEO. Ever since the rise of digital world in India, the scope of digital marketing is increasing gradually in a steady pace. With cities like Mumbai, Banglore and Pune Showing great demand of digital marketing jobs, SEO job requirement has shown a boom. Now coming to the city like Pune, it has shown a steady rise in digital marketing jobs. So you are lucky if you are finding a digital marketing job in Pune. A lot of digital marketing companies are started in Pune so if you are looking for a digital marketing job or SEO job in Pune, you are about to get excellent opportunities. Now, to help those aspirants who are on the lookout for SEO jobs in Pune, check out the related job links and company descriptions below. 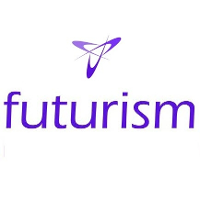 Futurism Technologies (Futurism) is a leading Next Generation Multinational Information Technology Solutions and Service Company. With over 13 years in business Futurism vision is to provide cost-effective quality end to end Information Technology Business Solutions and Services alternative for the entire spectrum of businesses worldwide. Now they have opening for SEO executives. To know more about this job click here. FirstCry is Asia’s largest online shopping portal for Baby and Kids Products offering more than 70,000 products across 1200+ International and Indian brands. With its current workforce of 700+ employees, the company is growing at 40% month on month and is already more than twice the size of its nearest competitor. Currently they are hiring for the position of Assistant Manager SEO. To know more about this job click here. BMITSPL is newly emerging IT industry. We provide Web Design, Software development, Mobile App, Animation, Domain and Hosting, Data Recovery and CAD/CAM services. We provide solutions unmatched other competing companies and established ourselves in IT industry. To know more about this job click here. 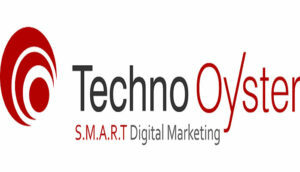 Techno oyster is a professional search engine optimization company started in 2011. The main motive behind the establishment was to provide uncompromising services in the field of internet marketing. The services are provided by giving full scope to the requirement of branding and the need of advertising. To know more about this job click here. 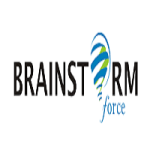 Brainstorm Force is a rapidly growing IT Services company based out of Pune, India providing unique solutions to build, integrate & customize web development, web design, Internet marketing, SEO, custom application development, eLearning solutions and mobile application development services across a broad spectrum of industries across the globe. To know more about this job click here.